WINNIPEG, Manitoba (CelebrityAccess) — Jamie Prefontaine, a member of the Winnipeg-based hip-hop group Winnipeg's Most has died at the age of 30. Prefontaine, also known by his nickname Brooklyn, died on September 22nd of an unknown ailment. According to the CBC, Prefontaine's family declined to release a cause of death. 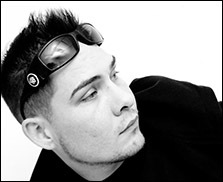 Winnipeg's Most, comprised of Prefontaine, Jon-C (Billy Pierson) and Charlie Fettah (Tyler Rogers), debuted in 2010 and quickly became a force in the regional hip hop scene, garnering several Aboriginal Peoples Choice Music Awards (APCMA), including for best new artist, as well as a feature article in Maclean's	magazine. Despite the group's success, Winnpeg's Most faced criticism over their lyrics and glorification of drugs and crime among aboriginal communities. It was a lifestyle that Prefontaine seemed acqauinted with, having spent time during his life in and out of jail. At the time of his death, Prefontaine was on the Winnipeg Police Service's most wanted list, according to the CBC, for breaching numerous conditions imposed by the court. In a press release, Winnipeg police said they were actively searching for Prefontaine and alleged that he was deliberately avoiding them. Despite his past, Prefontaine's friends described him as a good man.